Just a quick post for you today! 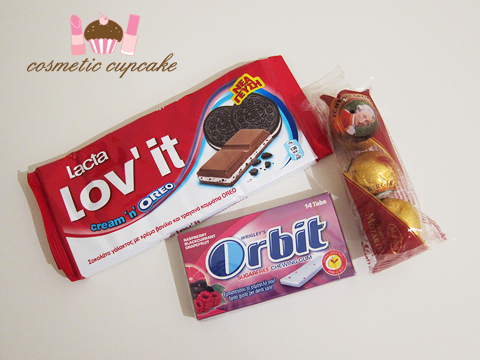 I received 2 wonderful packages this week and I just have to share them with you as I didn't haul anything in April!! Great for my wallet haha. From L - R: Nfu Oh 63, 54 and Flower oil in orange. I just about fainted when I saw these!! I now have a little family of Nfu Oh's!!! From L - R: Golden Rose 112 and 120 and Catherine Arley 674. More holos!!!! I'm wearing the Catherine Arley right now and it's stunning! 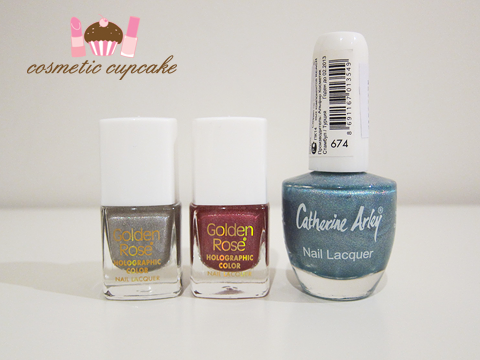 From L - R: Tommy G nailquake in 2, Beauty Line 345, 327 and Clarity 468. Another crackle yay! The Clarity glitter looks so cool. Miss Julie polishes in 32, 48 and 8. These are so cute! 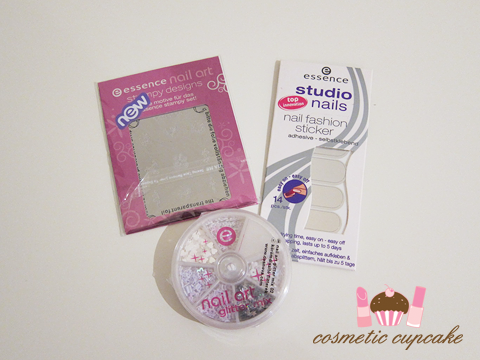 Essence nail art goodies!!!! My favourite! Christina sent me a blue glitter mix last time and this pink one is just as pretty and I can't wait to use it. Plus a stamping plate! 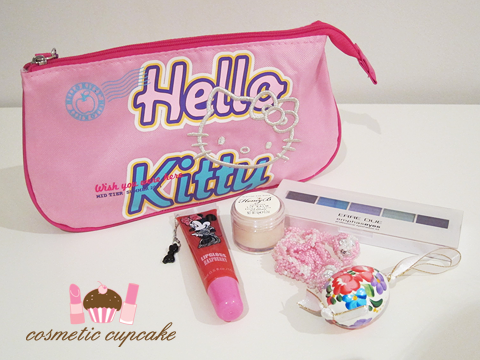 Isn't this the cutest Hello Kitty makeup bag?!! It's sectioned into 2 as well which is perfect =) H & M Disney raspberry lipgloss, Honey lip balm, Erre Due eyeshadow palette and handmade Viennese items. And of course scrumptious chocolates!! 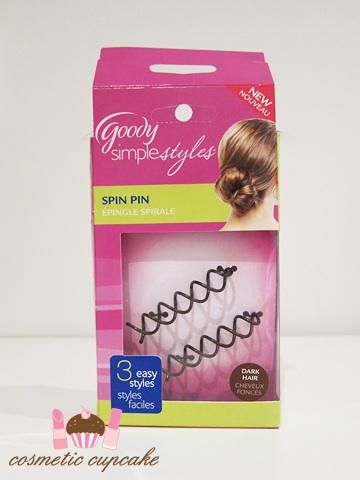 I saw these spin pins on some blogs and Christine also helped me purchase some too as we don't have them here in Aus. My hair is really thick and it's hard to put up into a bun so I'll try anything! What care packages have you received this week? Thanks for looking! Just wondering if you've received any other things in the mail this week? I freaking love Spin Pins, they're awesome. i'm jealous: everything looks so good! what an awesome package!! 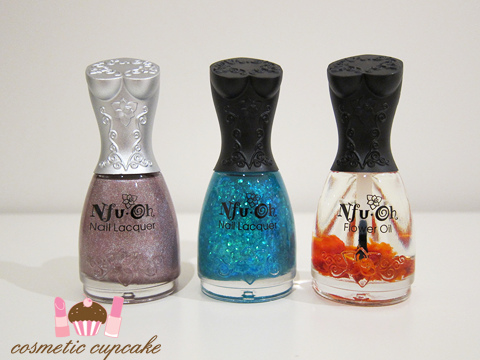 Nuf oh polishes have been on my wishlist for such a long time! gahh!! so jealous! 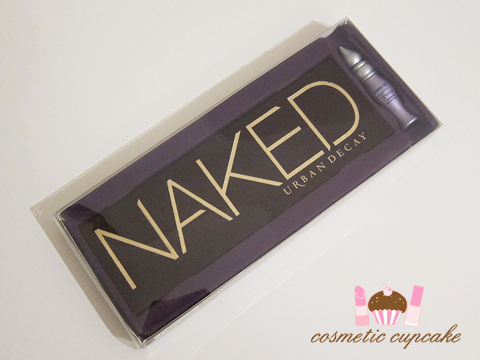 Wow, this looks like such a good swap! 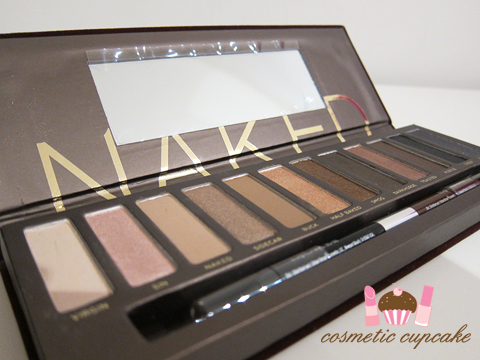 Everything is beautiful :) And dont get me started on how jealous I am of your Naked Palette! Ooh, great swaps! 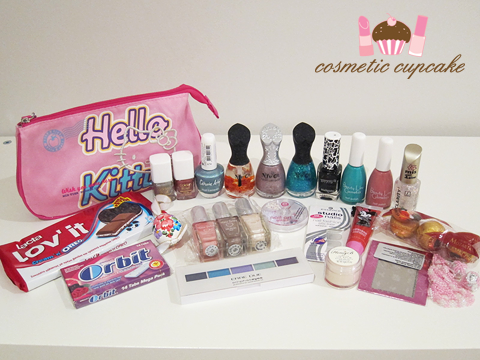 Can't wait to see what you do with all these pretties, especially the Nfu Ohs and the Essence nail art sets.